There are popular hand gestures that are used by many people daily. At the same time, the roots of these body language signs are still the mystery for many of us. Today we are going to open the secrets of the origins of the most famous hand gestures in human history. This gesture became famous after Leonard Nimoy used it in “Star Trek”. Although, the sign is meant to have originated from another planet, its true roots come from Nimoy’s childhood when he saw a Jewish ritual named “kohane blessing” that used a hand gesture that is interpreted as “Almighty (God)”. When Nimoy was asked to create a salutation for Vulcans, he used the Jewish sign as a basis for the famous hand greeting. 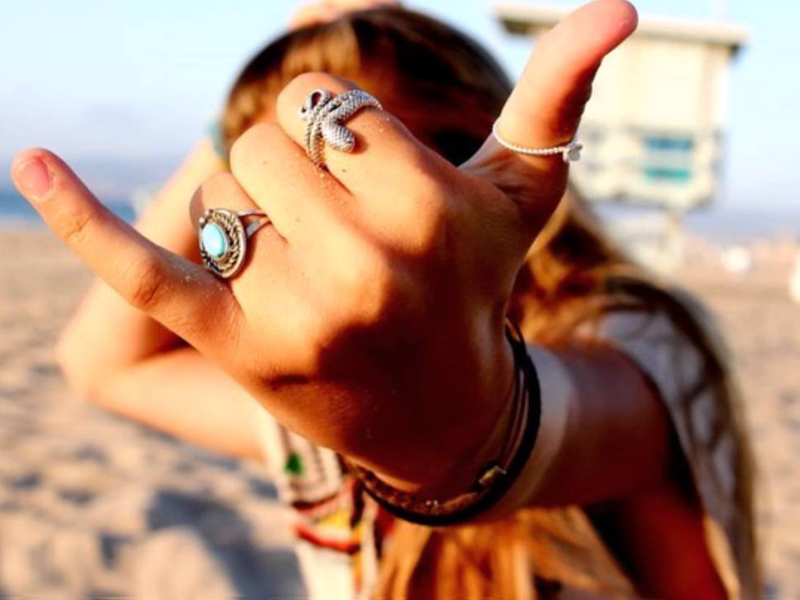 The gesture is also famous as “hang loose” and is closely associated with surf culture and Hawaii. It also has other meanings such as “hello”, “bye-bye”, “good luck”, “take it easy”, etc. One of the theories of its origin states that the sign was first used by Spanish sailors who welcomed the Hawaiian people to share a drink by mimicking, since they did not know the native tongue. This popular hand gesture is also known as “hand horn”. In Spain, this sign symbolizes the horns of the bull. If you take the risk to show this sign to a Spanish man, you may even be beaten. The gesture has a negative meaning and implies that another man is having an affair with the wife of guy to whom it is shown. This hand gesture symbolizes adoration for Old Glory. On the other hand, the sign was different before the World War II and included military signs that were later modified due to their resemblance to Mussolini’s and Hitler’s stiff-armed salutes. The origin of this gesture dates back to the beginning of the 20th century when jazz became highly popular. Black musicians used the sign called “dap” to greet each other. A similar gesture, that later became known as “high five”, was used by basketball players in the late 1970s. It is interesting to find out the origins of your favorite body language tricks. Create your own one and leave a mark in the history of hand gestures!